8 Phenomenal Songs To Prove That Ayushmann The Actor Is Actually Ayushmann The Singer! Ayushmann captured millions of hearts when he went on to become the first Roadie. But with time he discovered himself and unleashed multiple talents to take Bollywood by storm. 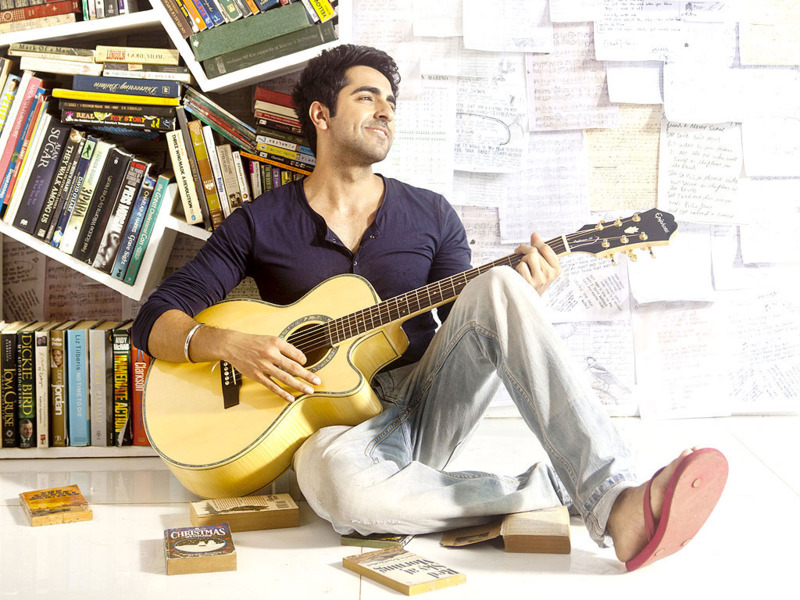 The Vicky Donor star is not just a good actor, but also a very soulful singer. And his songs in the past few years have been better and better! He can also be appreciated for keeping the trend of single albums alive! Here are his best performances which are favourites on every die-hard fan’s playlist! The movie was madness for sure, but this song was not only supported by his soulful voice but also with beautiful lyrics! The less said the better! This song topped charts for many weeks and there is no reason why it shouldn’t have! Simply sung from the heart, for the soul! This playful number happens to be a crowd favourite! And the beats are so peppy that your feet start tapping on their own! The guy with guitar! When words found meaning courtesy his Punjabi accent and synced with the tunes of that strumming guitar, it wasn’t short of magic! Hawaizaada was a… different… film of sorts but this song is like time travel which flies you out into another world of melodies! Ayushmann deserves a real pat on his back for this one! He captured the pain of loss so well that it won all hearts! This latest single by our oh-so-beloved is very interesting. A little different from his earlier performances, with faster beats this song is as peppy as it could get!